Works on 3 stages of the flea life cycle (adult,larvae,egg) and controls many other insects such as adult ticks, roaches, silverfish, earwigs, and ants. 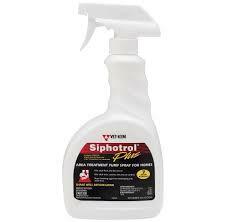 Active ingredients are S-Methoprene 0.01% and Permethrin 0.28%. Treats carpets, rugs, drapes and all surfaces of upholstered furniture with a fine spray. One bottle will treat a surface area of approximately three 10' x 10' rooms (300 square feet).